For those of you that haven’t seen our cheery little compost boxes dotted around the city, wake up and smell the coffee grinds! We have helped set up 37 composting sites over the past 5 years, and more are requested on a weekly basis. It’s amazing to see how passionate residents in Brighton and Hove are about having a composting scheme in their neighbourhood. Our local schemes help individuals to be more green and play a part in diverting food waste from the rubbish bin. Our newest addition, in Park Crescent, has been given a big green thumbs up by the local residents. One of the volunteer compost monitors, Phil, said that the scheme was proving very popular and they have already filled up their first compost bin! 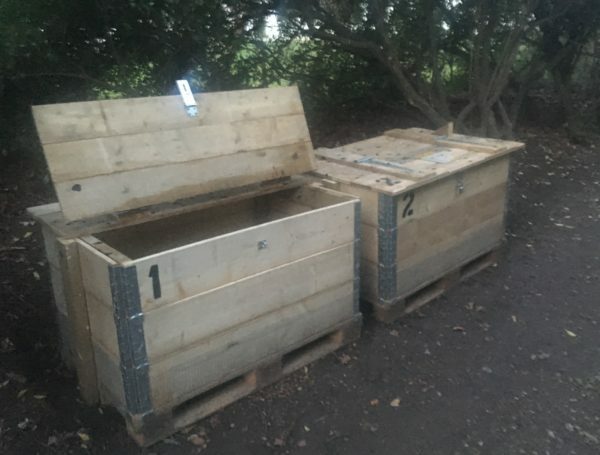 We are really passionate about composting and thanks to some funding from the Council, we are able to help residents open up some more schemes in 2019. If you’re eager to get composting, take a look at our composting tips and read more about the community composting scheme.